The enormous reach digitalization has in our society means that more and more organizations are finding themselves in a similar situation: Their organic growth has skyrocketed. Dealing with that growth means having to integrate multiple platforms, systems and digital assets that have to maintain brand consistency, as well as respect and unify customer experience. Secuoyas has identified the need to bring together different solutions thanks to the deep collaboration model we establish with our clients. We constantly help organizations solve their consistency problems, given our experience and our certainty in that we have several models that work. With design systems, we give companies the ability to continue growing exponentially in a way that is consistent and easily scalable over time. The starting point is to unify the constructive components under a solid brand and user experience criteria, so they can be reused in the creation of new products or systems very quickly, maintaining a common experience and consistency in all its extensions. This is vital for the user to recognize and experience the brand in a cohesive way. Once it is correctly implanted, the advantages of designing products by means of a design system are many and obvious. Once the system begins to stabilize, it facilitates greater consistency. Simplifies the relationship between design and development teams. Helps to easily define products. It makes it easier to get things in order and focus on the right problems. Improves the effectiveness of all processes. A proper taxonomy and an associated ontology, to cover and integrate multiple platforms, establishing a common language that allows working with the system. That will take into account in all its phases, defining processes of creation and categorization as well as distribution, versioning, updating and withdrawal. Our accumulated experience in design system projects motivates us to seek excellence in the process, giving us a unique vision. 1. Conceptually: From a holistic point of view. 2. Operationally: Through the development of our own and integrative tools. Based on our own experience in collaborations where we have developed or worked with design systems, we have reflected on and defined what design systems are for us, trying to establish a model that allows us to define them. 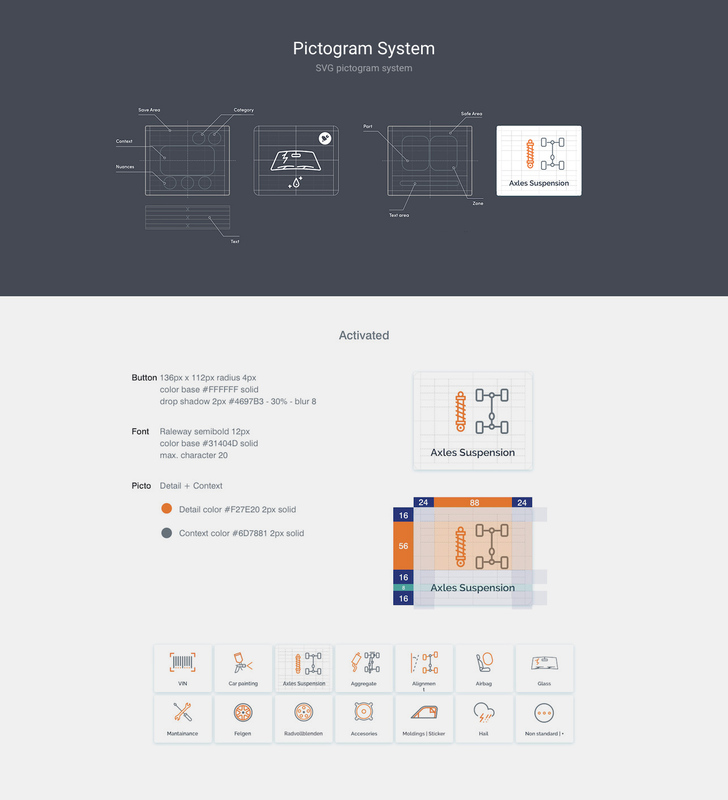 Here we’d like to briefly explain the five structural elements−the system's groundwork−that are the basis for building an efficient and sustainable design system over time. The component library, without a fixed shape, adaptable to the specific needs of the company and the product. The processes, actually in charge of the transformation of the input elements of the system. The infrastructure, the sustenance on which the system is built, the product, the entity... the basis of everything else. The organization, in charge of promoting the necessary actions for things to happen in a coordinated way. Culture, the invisible element in which each and every one of the elements of the entity is impregnated. Excerpt from the GDS article by Henar Vega. You can read it full in LinkedIn. All the elements are interrelated and it is therefore necessary to consider them as a whole and not to focus on any of them in isolation. Since we identify—both when approaching our projects and collaborations, as in most of our clients—the recurrent need to unify and apply a single language that allows us to automate and streamline some processes, facilitating the agile creation of new digital assets, we are focused on the development of our own and integrative tools to achieve this solution. That is how MAGMA was born. "Magma is specification, infrastructure and software. It is the underlying of our system, an API for creating component systems." All of this makes up a product with which we develop the component systems in Secuoyas, is proposed as a solution in the form of an internal service. Excerpt from the article on Magma by Francis Vega. Thanks to our extensive experience in projects related to systems design, we can help implement a new design capacity in organizations with the need to integrate all of their systems and digital assets due to their digital growth, so that they can be consolidated in a consistent manner and be scalable over time. At Secuoyas we favor the creation of products that maintain coherence with corporate visual identity and branding, and unify the customer experience. Something that is easy to lose sight of with extremely fast organic growth. With a well-implemented design system, this doesn't happen. Our integrated design and development capabilities enable us to be an ideal partner for strategic projects and the conception of products with the highest quality standards. A high flying design system. 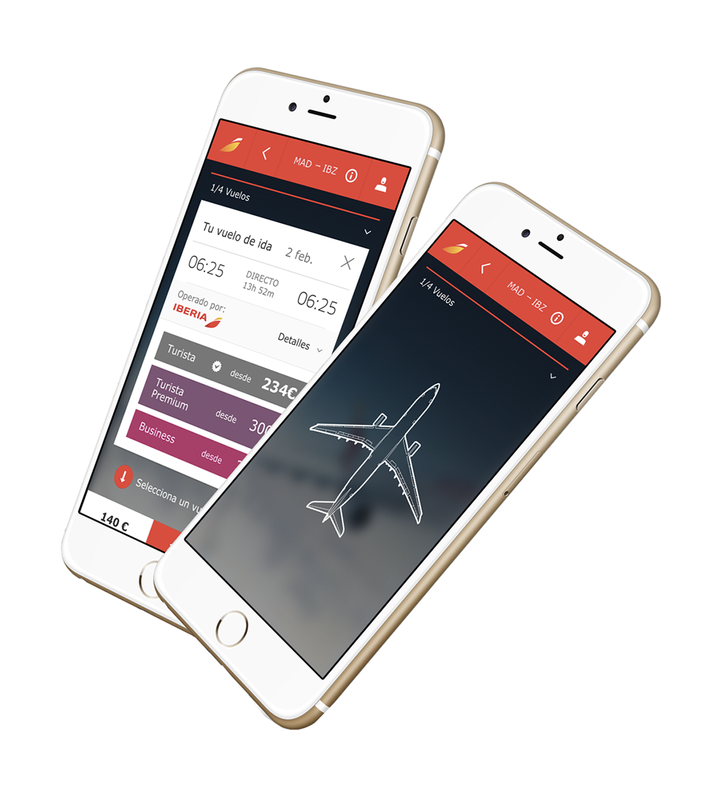 The goal was to unify Iberia's digital channels into a responsive and accessible design under an integrated technological platform. We started by redesigning the airline's fundamental processes (booking and check-in) with a deliverable model that allowed its development team to implement the designs and evolve the product coherently. 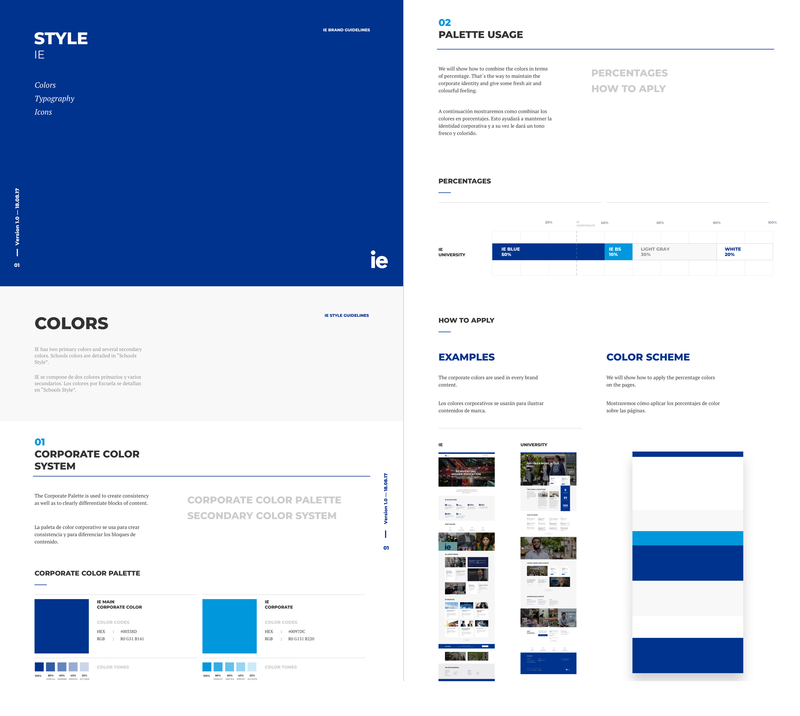 A design system for the motor vehicle industry leader. We started and developed the transformation stage of Solera's products and processes, orienting the design of the main product in a completely modular way, laying the foundations of the system in the manner of a Trojan horse. Through 11 different projects that had a direct impact on different layers of the organization, and a great deal of collaboration, we facilitated the evolution of the structure of products and procedures between the different departments. 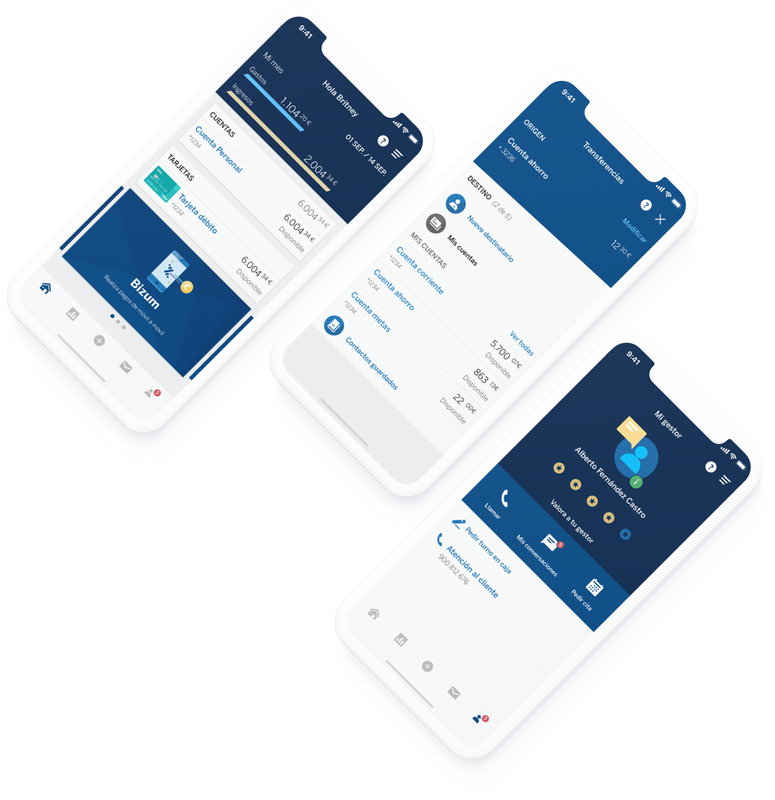 We teamed up with BBVA's design professionals to create the component libraries for mobile devices, unifying both interaction and visual criteria, together with a unique taxonomy to facilitate the product evolution and construction process. We integrated a modular design in a multisite CMS that we normalized so the organization could reuse its features and its content structures. We also established collaborative processes to promote transparency in tasks and communication among team members. Discover all the details of the IE case here. If your company is at a similar juncture or you foresee major growth in your digital exposure, we just have to find a free spot in your calendar to talk about it. We will help you clearly identify if implementing a design system in your organization might be what you need. Want to talk about design systems?